During 18th- 19th of September, rainfall is expected to slow down. And wave height will reach 2.0 meters in the Andaman Sea. 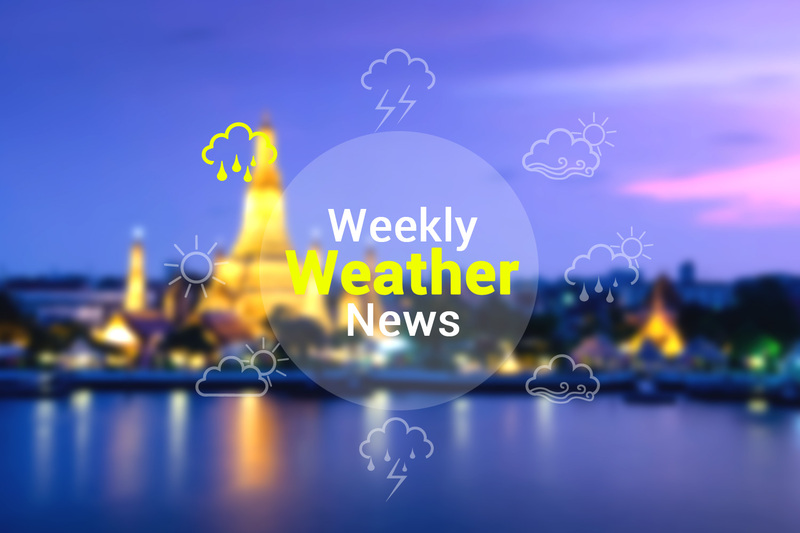 On 20th- 24th of September, rainfall is foreseen to increase; heavy to very heavy rain is expected in the Central, the East and the South, including Bangkok and the Metropolitan area, which may lead to sudden floods. Furthermore, waves in the Andaman Sea and the upper Gulf of Thailand will reach 2.0-3.0 meters. Scattered thundershowers and isolated rain are expected throughout the period.